New to HBB or learning to beatbox? 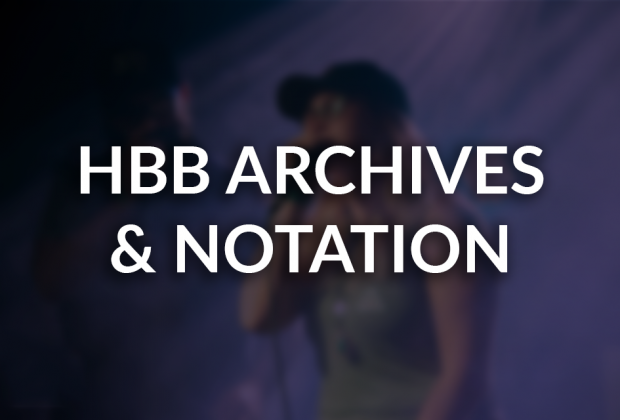 Here is an overview of our sound archive, beat pattern archive, and beatbox notation system! The Human Beatbox Sound Archive is a growing catalog of human sounds. All of these sounds are made just with the mouth, voice, throat, and body. The purpose of this project is to create a list and resource for people all over the world to be able to learn and reference sounds. Description: This sound is made by creating pressure behind closed lips, then pushing out a small burst of air. It is similar to the sound made by a "b" or "p" in English. There are two main variations on how this sound is made. It can be a plosive, meaning that it stops the airflow out of the lungs, then suddenly releases it, or it can be an ejective, meaning that does not use airflow from the lungs, it simply uses pressure built up in the mouth. Looking forward, we hope to make this resource even better. Of course, we will always be expanding the archive, but we also have three main additions to the archive in the works. First, we are working to add clear, uniform tutorials for each of the sounds in the archive. Second, we are creating an alphanumeric catalog system to go with the archive. Third, we are expanding on our new notation system, which you can read more about below. We are also in the process of creating a more robust archive of beat techniques and patterns. Given the large number of sounds humans can create, it is important to categorize these sounds for reference. Beatbox Sound Families provide categories for beatboxing sounds with the intent of making learning, discussing, and searching sounds easier. Any sound that is a part of the sound family “Lip Based Kicks” we can assume will either sound like or commonly be used like as kick sound, in reference to the sound of a kick drum. We can also assume that it will be based on the use of one’s lips. Similarly, we can assume that any sound in the “T Based Sounds” will be created similarly to how a person makes a “t” sound in the English language. These examples demonstrate how some families describe the mode of creation of the sound with reference to the part of the mouth being used, and others with reference to commonly known sounds in English that have a standard way of being created. An English “t” sound, for instance, will always be made using the tip of one’s tongue. The Beatbox Sound Families are meant to describe and categorize different types of sounds, but are not meant to imply that certain sounds should ever only be used one way. 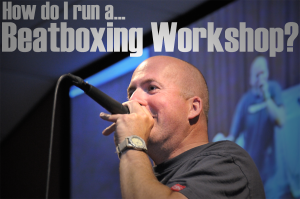 We highly encourage beatboxers to try using “kicks” as “snares” and experiment in other ways. The names are descriptive rather than prescriptive. Additionally, many of the sounds in one family may be able to fit in another family, or many others. To solve this, we may occasionally include entries the same sound in different families, but will link to a main entry in a family that we think is the most fitting for that sound. A notation system can be essential for effectively teaching beatboxing. 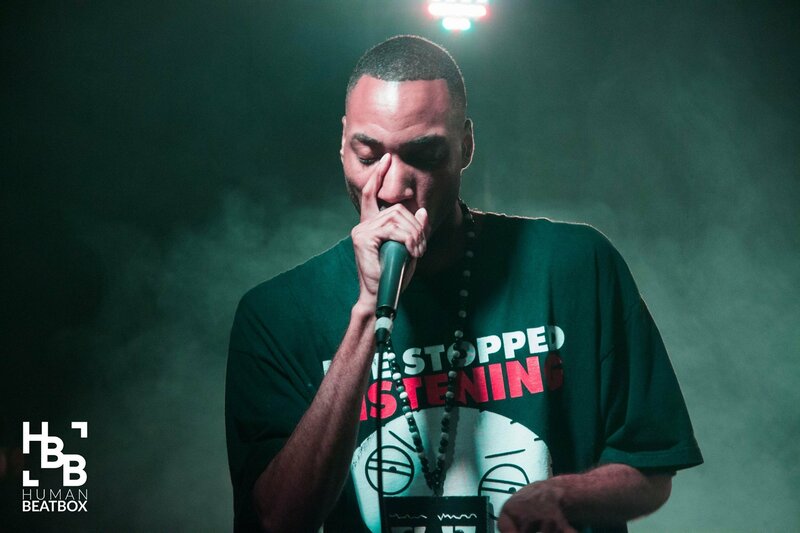 Every beatboxer has his or her own system, but this one allows for the standardized writing out of beats and patterns. Building upon the earlier Standard Beatbox Notation system, this allows for effective expression of more complex beats. In this system, a beat is written using a combination of symbols on a timeline. The timeline can be either a classical rhythm notation of notes on a staff, or the 1 E & A system. For most of our posts, we will use the 1 E & A system. A link to the 1 E & A system can be found here, and a link to classical rhythmic notation can be found here. In this example, we can see that the spacial relationship between the sounds is directly related to the amount of time between starting each sound. Each symbol is written above the time it occurs, in this case on beats 1, 2, 3, and 4. Capitalization does not change the sound used, it simply indicates emphasis on that sound. For example, a “b” is the same as a “B.” In a multi-letter symbol, only the first letter/symbol is ever capitalized. For example, Psh is correct, PSH is not. For clarity's sake, it’s also very important that the numbers and symbols are left aligned, not centered in each cell. A key is always provided to indicate what sounds are used for each symbol. Remember that the symbols themselves refer to the Beatbox Sound Family, not a specific sound. This makes the key extremely important, since it clarifies which exact sound is used within the family. On the flip side, if a learner cannot yet execute that sound, any sound in that family could be substituted. This also allows for some creative freedom when modifying beats, while still maintaining the general feel of the beat. This system also greatly simplifies writing beats, since far fewer symbols are needed than in Standard Beatbox Notation. If more than one sound of a family is to be used, or if the writer feels it is necessary to specify further which sound is used, lowercase letters and numbers may be added after the family symbol, as long as the specifics of this adjustment are written in the key. For instance, if two different types of P snares were used, someone may choose to write Psh for one, and Pf for the other. A third or fourth row can be added if the beat calls for more than one sound executed at once. A musical staff can also be added above the rows, lined up with the table cells, to indicate tones that should be executed via a sound written in the beat.